Do Relaxers Dry The Hair Out? Make sure you are not getting them too often. 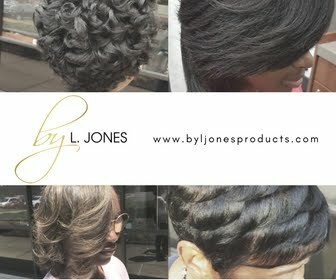 I recommend getting relaxers approximately three times per year to avoid over-processing of the hair. 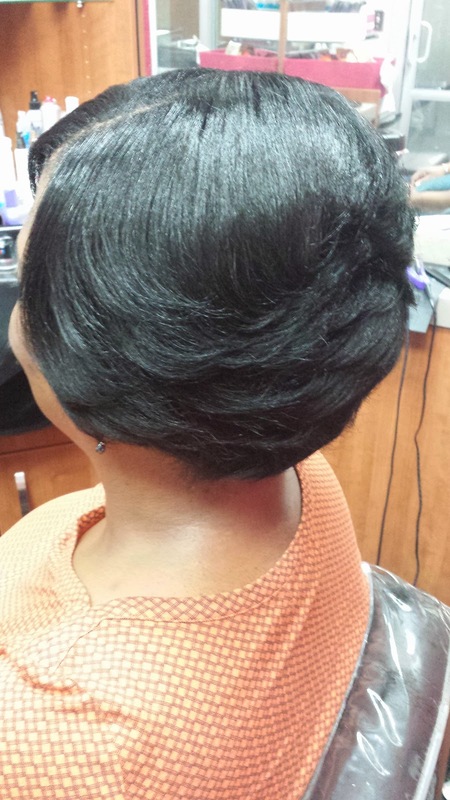 Any time over-processing occurs the hair becomes dryer, weaker, and is more prone to breakage. Space them out to keep your relaxed hair healthy. Watch the heat. 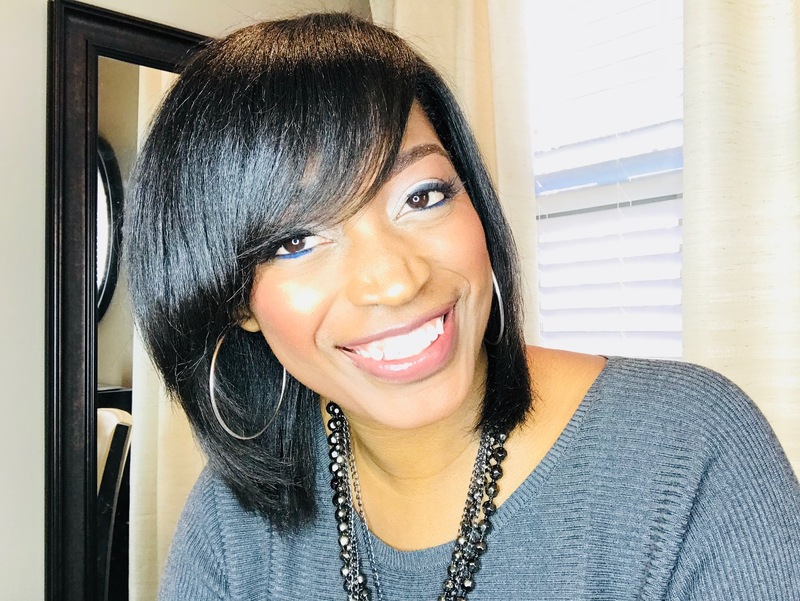 Your relaxed hair is already permanently straightened so it does not require a lot of extra effort from your styling tools to make it straight. 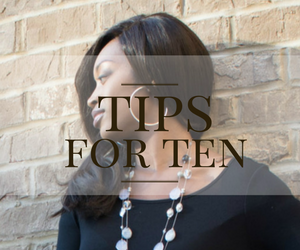 Keep your flat iron and curling iron on the lowest setting that your hair will allow. Wrap every night. 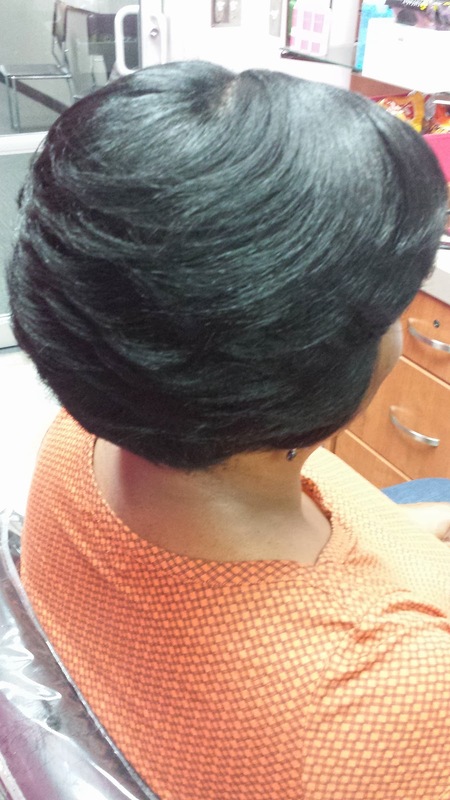 Wrapping the hair protects it in so many ways yet is one of the simplest things you can do! 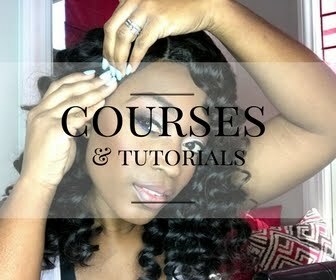 Wrap your relaxed hair up every single night to help avoid any damage. 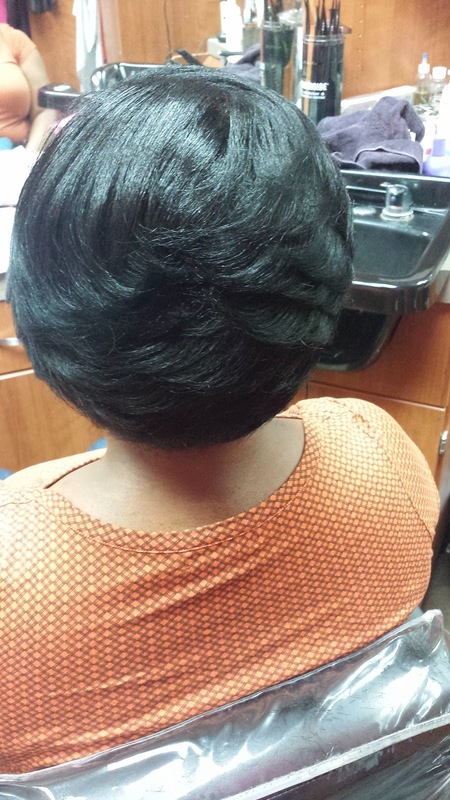 This client of mine just got a fresh relaxer and I did not put any oil in her hair. It still looks shiny and has lots of body in it. I didn't even use Silk Hydration products this time! When doing relaxers I use the entire line of products including the neutralizing shampoo and conditioner so Silk Hydration was not needed. This client also got a fresh trim and I just curled it in its layered style. The only think she needs to do is wrap it every night for maintenance and put her silk or satin scarf on.